Anyway, I decided to write up this review since this recall me that my friend birthday this month. And she told me that she had an enjoyable dinner there. 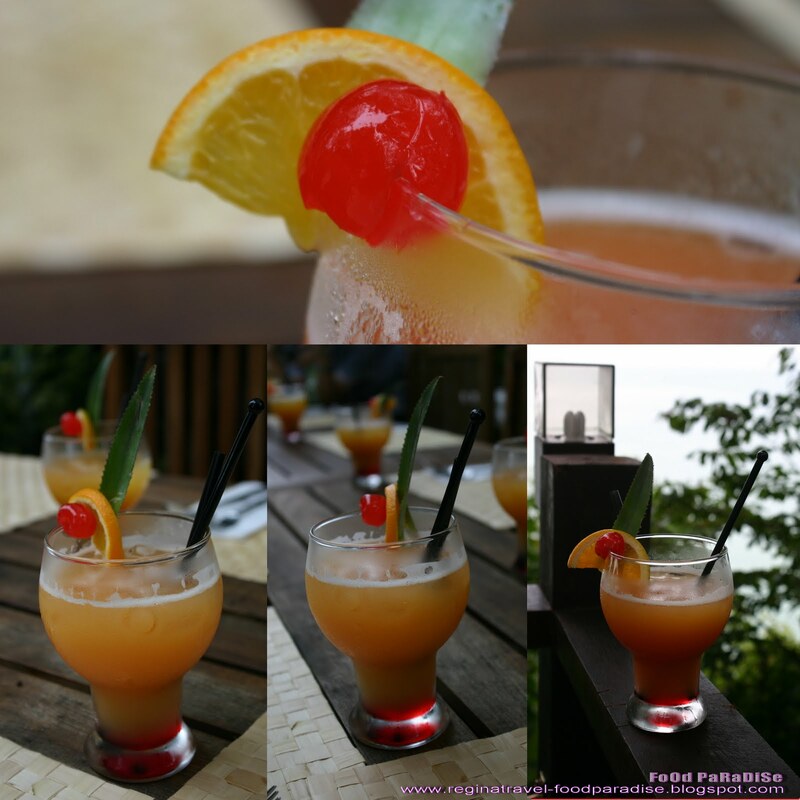 Basically it was situated at hill site of Tropical Spice Garden and facing Andaman Sea. Where I enjoyed sunset during my dining @ TREE MONKEY. 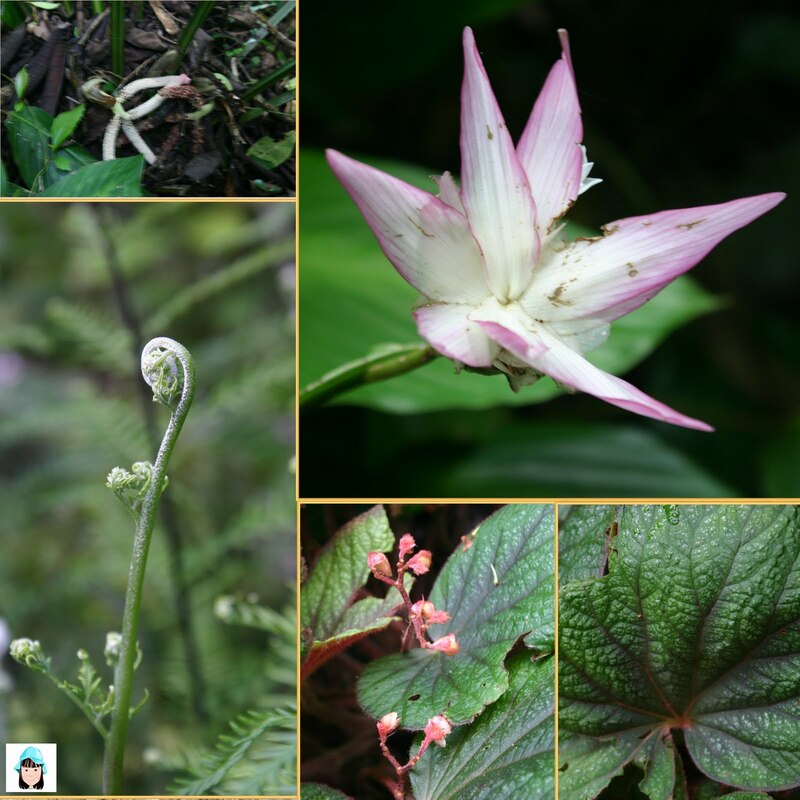 (Last photos of this blog post) I would say if you like nature, you will certainly love this place. 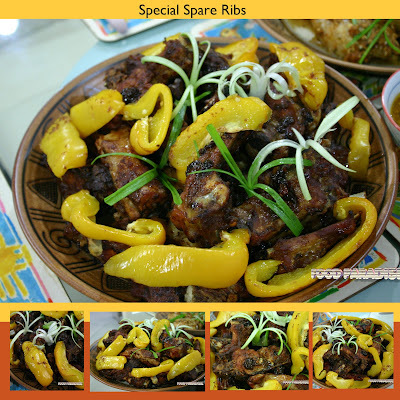 According to the owner - Patt Khor, the restaurant was using no nails at time of building the place. They were trying their best to build it using the timber-framing way style. 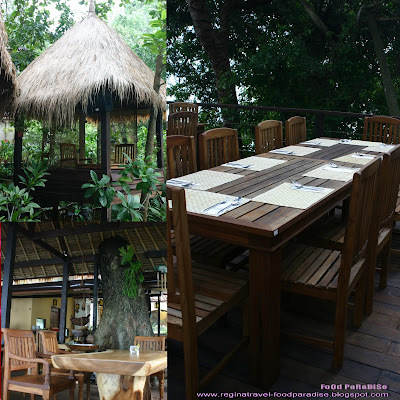 And the roof top were using thatched alang - alang grass imported from Bali. However, the furniture were imported from Chang Mai. 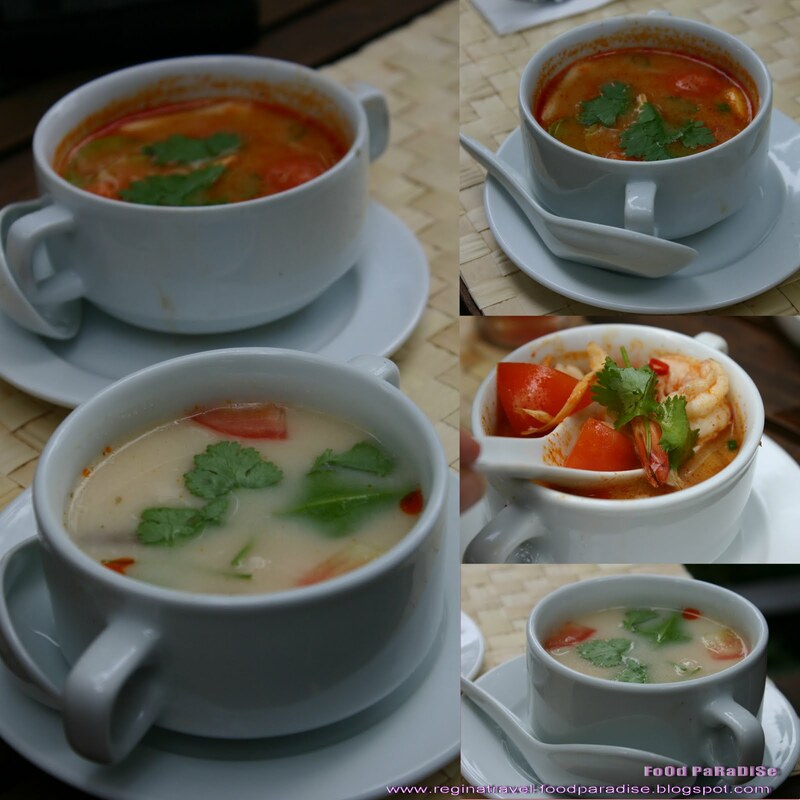 It is basically serving North Eastern Thai, Asian and Western Cuisines. 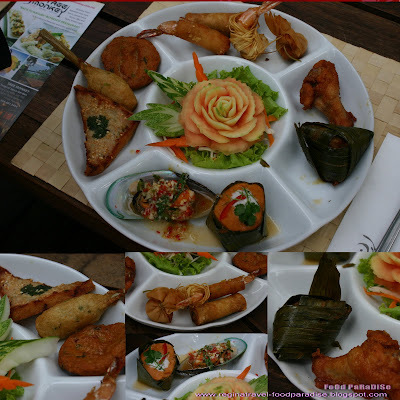 Then we start off with Thai Tapas. 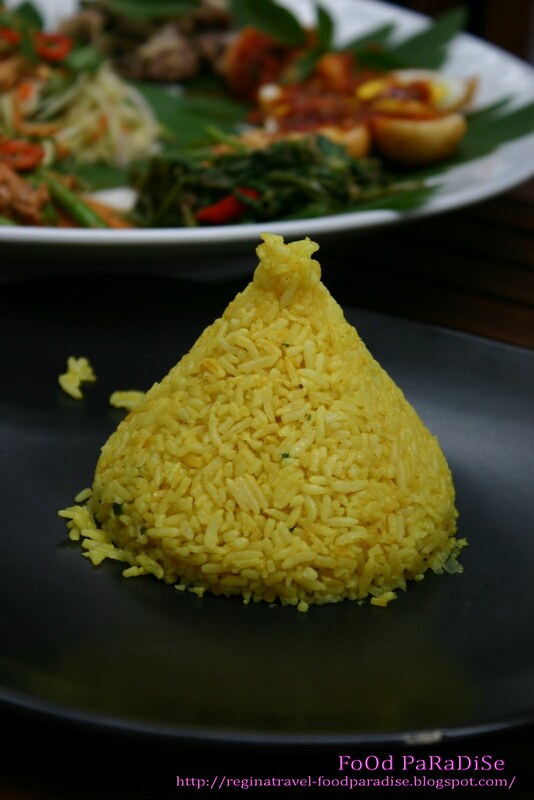 Please be reminded that Asian Tapas came along with two turmeric rice. 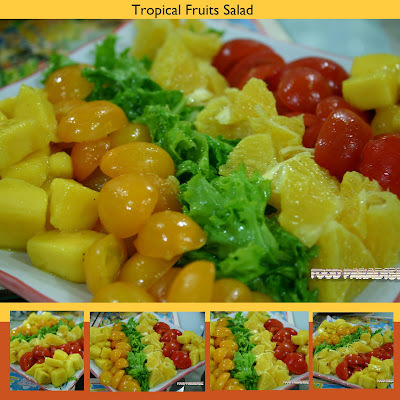 Lets start from the centre, it was the mango salad. The mango salad is not too sour for my tastes. Then next we had the Son In Law eggs, which is basically deep fried boiled egg topped with tamarind sauce. 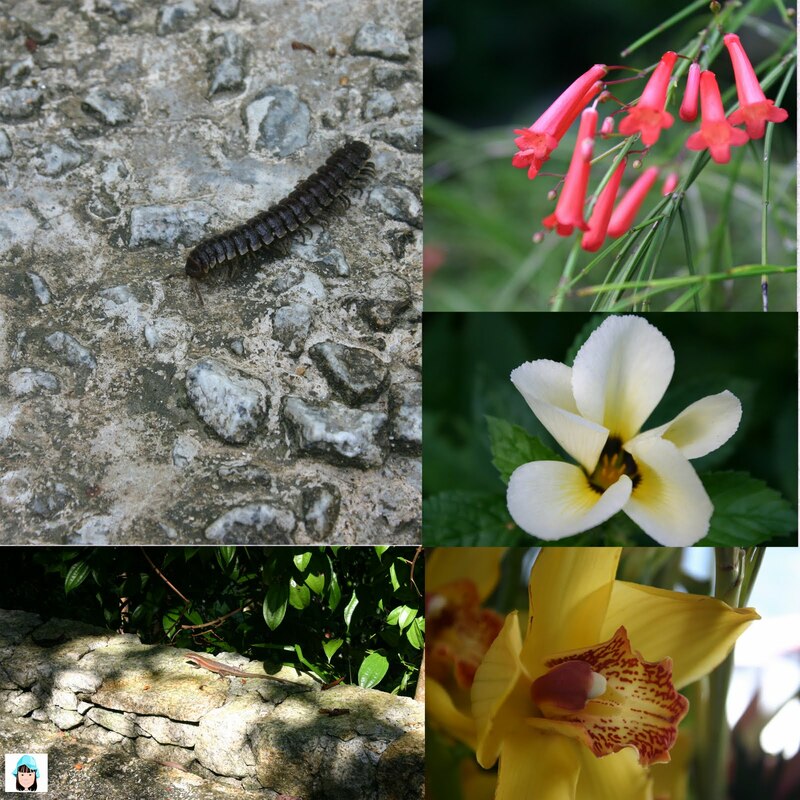 Which I found that it was simple and nice. Then the Kang Kung Belachan which are not overly spicy. 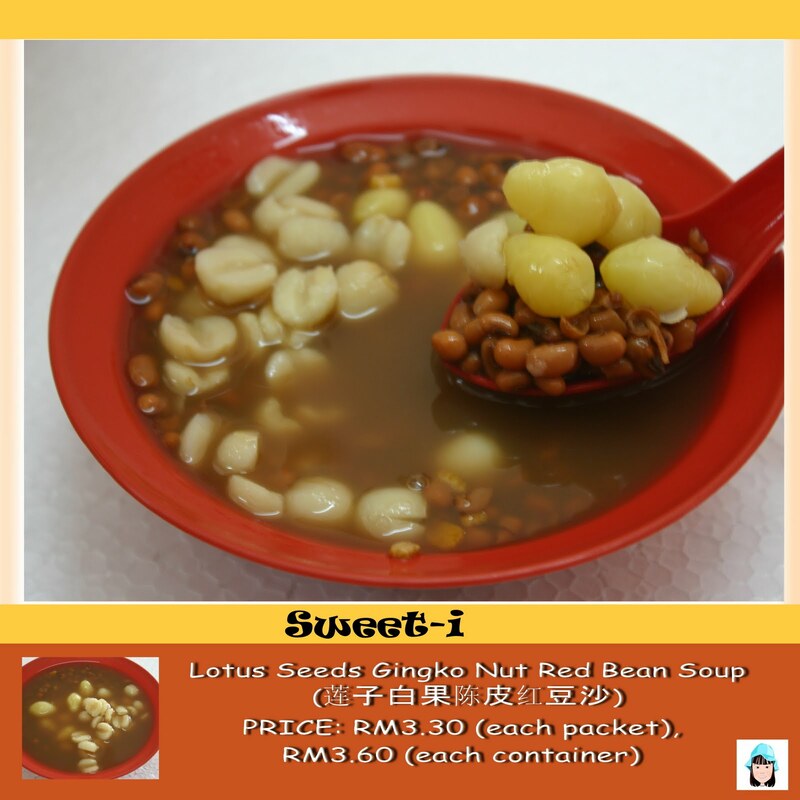 Sweet Bean Curd are nice which topped with the sweet chili sauce. Satay were tender. Masaman Curry were great with rice. After the meal, we had desserts...... that's what I really enjoyed. 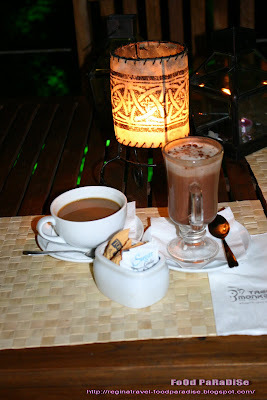 ^-^ And we had the Thai Coconut Ice-Cream. 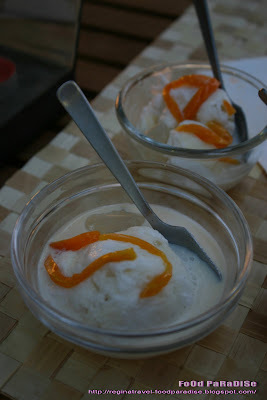 Basically it was coconut ice-cream topped with jack fruit and attap palm seeds. Very refreshing. After desserts, we sit back and chit chat with the owner and among ourselves. We get to try their spice tea and coffee. If you like spice very much you will loves it. 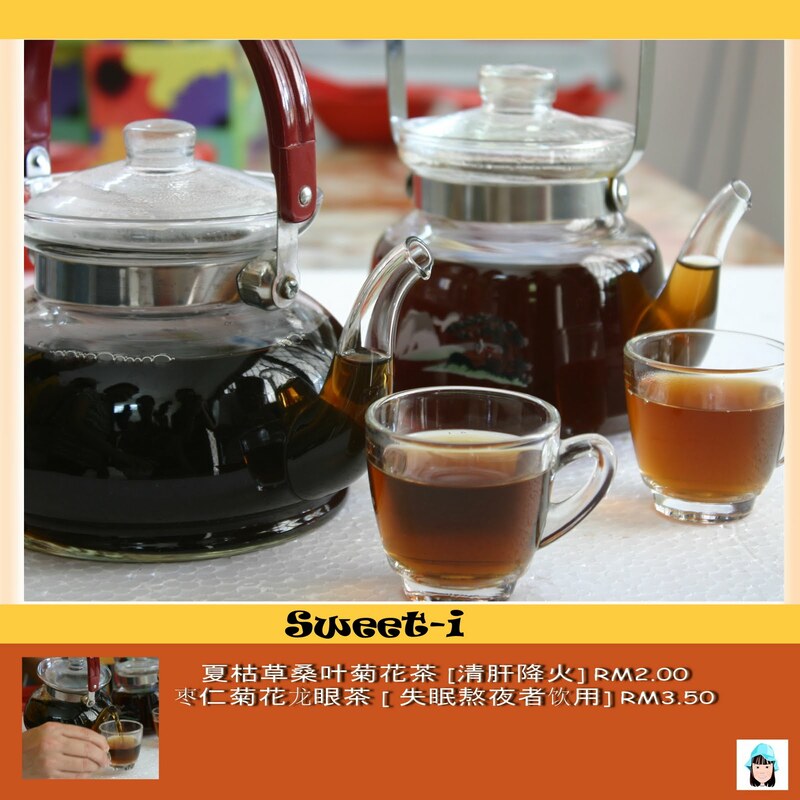 As it has a rich aroma of spice in the tea and coffee. 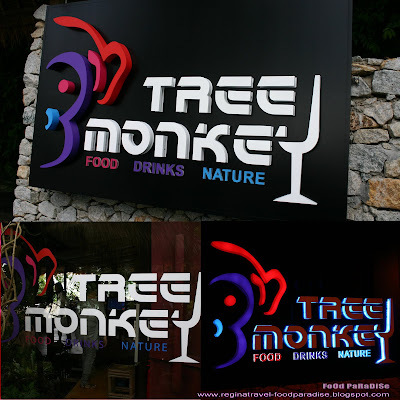 We were lucky that we were able to see some sunset while dinning at TREE MONKEY. It was an enjoyable and relaxing place for foods. 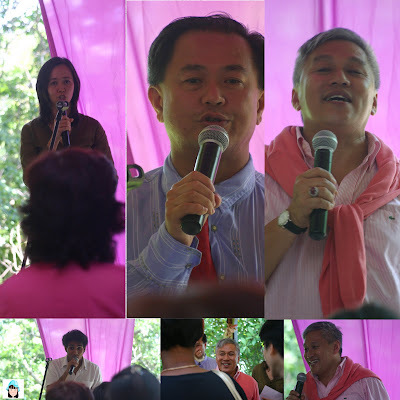 I would like to thank the owner, Patt Khor and Warren for arranging the food review. 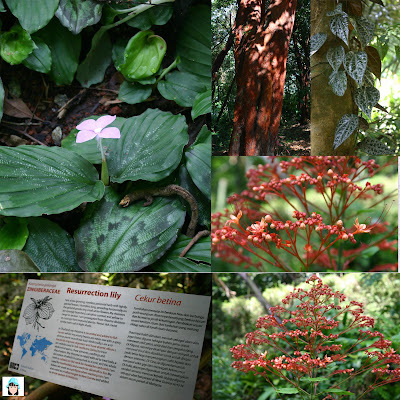 As I mentioned from my earlier posts, I will do the Tropical Spice Garden post in another post. So let me begin with my job to show you around the garden. While waiting for other guest members to join the "English" speaking group. 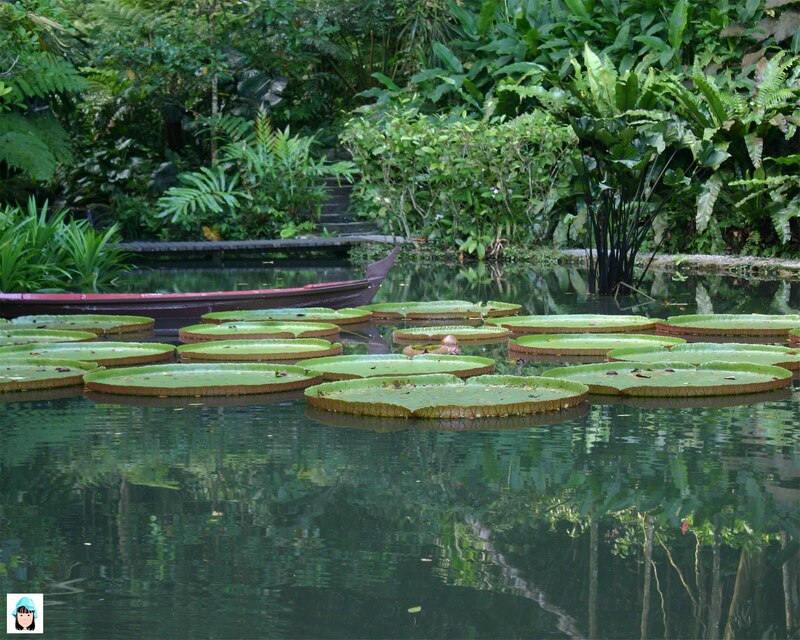 We have the opportunity to take some photos of the water garden with traditional sampan. 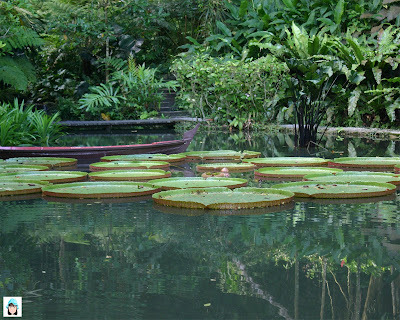 Basically it was pond filled with large water lily and other plants. 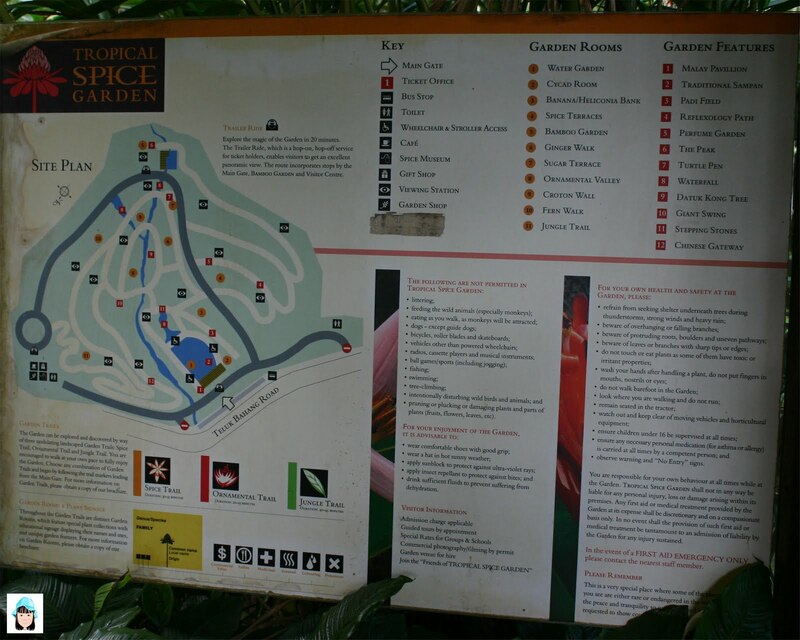 This big sign map is locate before the entrance of the Tropical Spice Garden. There are basically 3 interesting trails to begin. Which are Spice Trail, Ornamental Trail and Jungle Trail. I have been to the Tropical Spice Garden few years ago with my friend (Visitor). But we just browse through the garden by our self. And did not bother to get any experience tour guide to explained it for us. 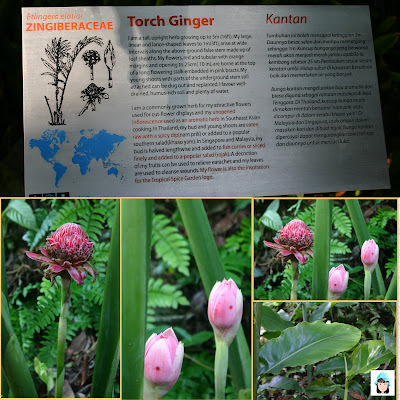 So I strongly recommend that you get an experienced guide to go around the garden to explained with you the types of herbs uses in our every day cooking and also the almost extinct plants that have been planted in TSG. During my first visit to TSG, my friend and I love the gigantic palm tree.Then during this trip, I get to know that this tree has been classify as threatened endemic species due to habitat destruction and illegal collection of seeds to export for ornamental palms. 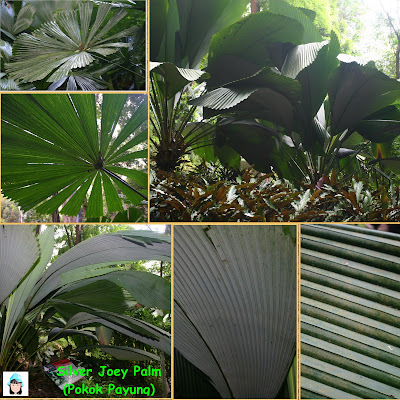 It has enormous leaves up to 3 metres long and 2 metres wide. It was a rear plant because of its spectacular appearance. The palm leaves were very thick and underside of the leaves look stunning and silvery white. The leaves was used as thatching roofs and walls. It was used as fans to VIPs in the colonial high courts. 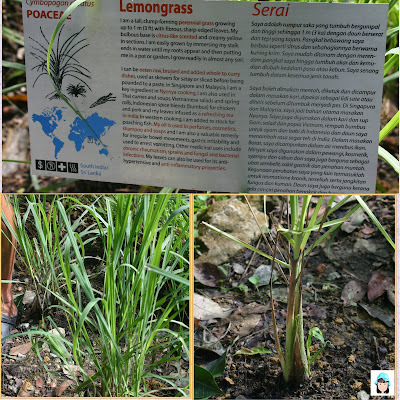 Citronella which is call Serai Wangi in Bahasa Malaysia. 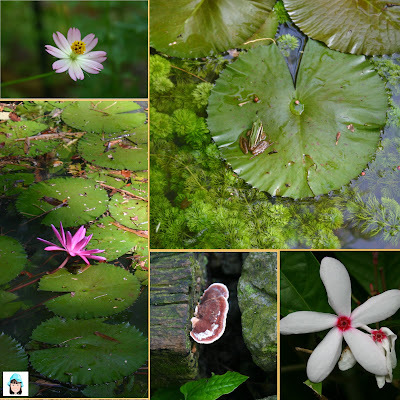 The oil extract is very effective for mosquito repellent. In its natural form it is favoured by the perfumed, cosmetic and flavouring industries around the world. It has a tall perennial grass and citrus flavor. 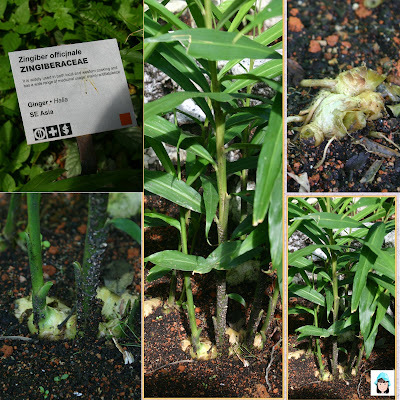 It is widely used as a herb in Asian Cuisine. 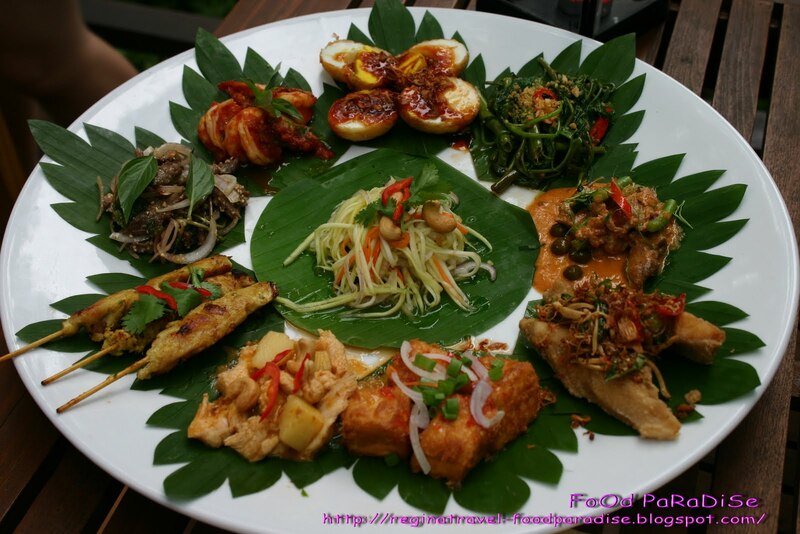 Such as in Nonya Cuisines, Curries and Soup in Thai Cuisines, Vietnamese salads in Vietnamese Cuisine and etc. Apart from cooking it or eaten it raw. It also can drink as refreshing tea. 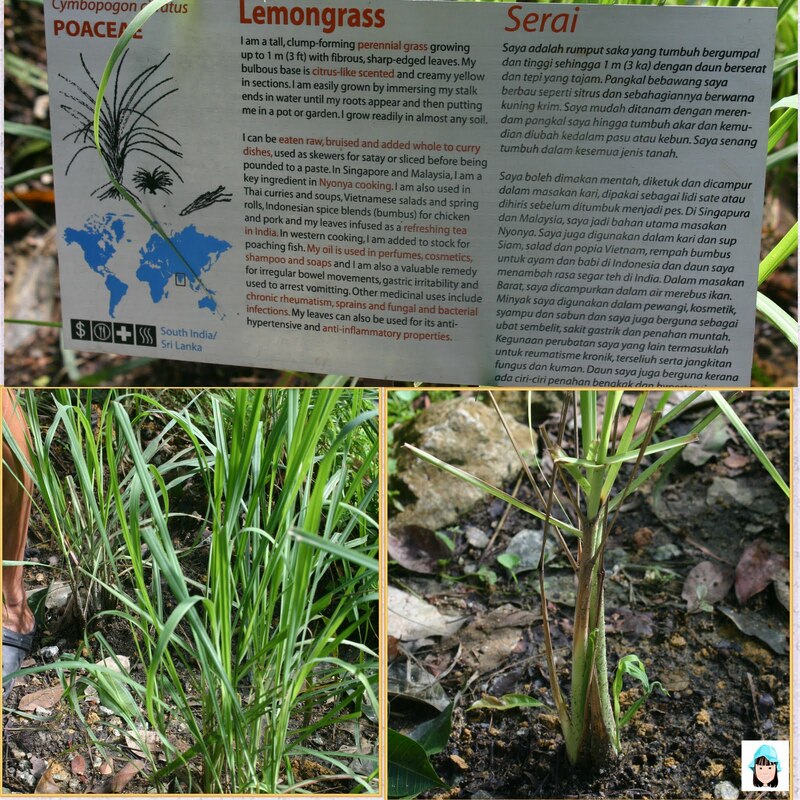 The lemongrass oil are used in perfumes, soaps, cosmetics and shampoo. 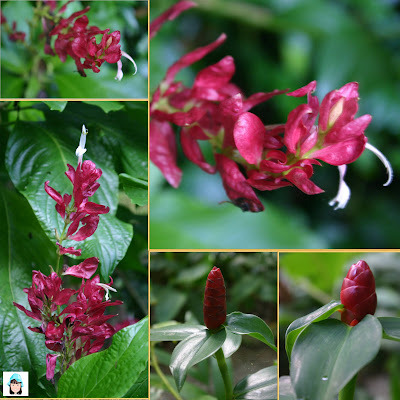 It is also a good remedy for irregular bowel movements, gastric irritability, use to arrest vomiting, Chronic Rheumatism, sprains, fungal and bacterial infections and the leaves can use for anti-hypertensive and anti-inflammatory properties. This is widely used in both local and western cooking. 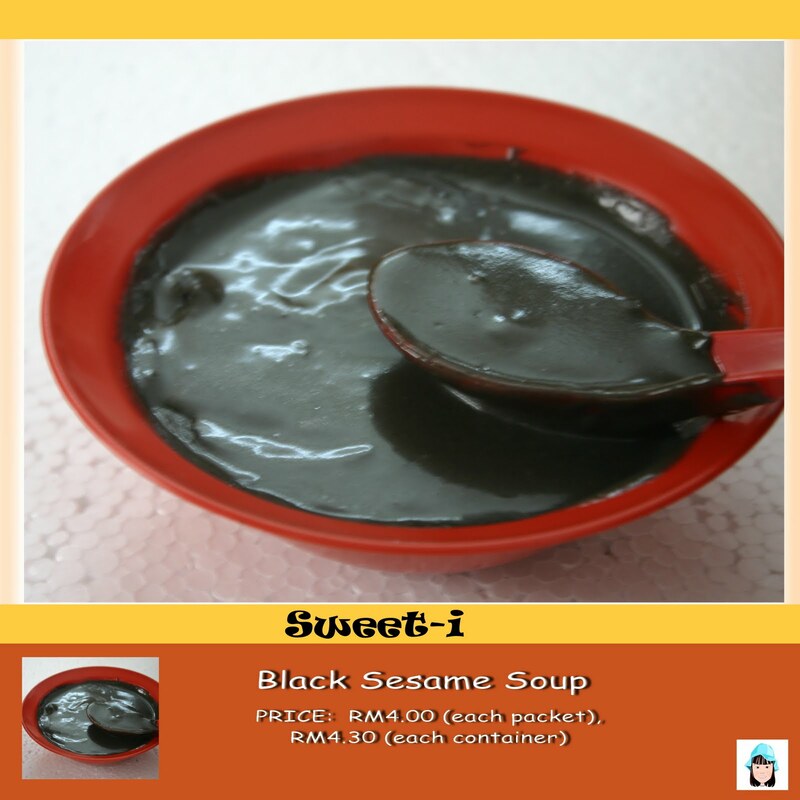 And it has wide range of medical usage such as diarrhea, nausea, constipation and colic. In China, ginger eggs was commonly use at home as a remedy for coughing. And tea brewed with ginger were commonly use as remedy for colds. 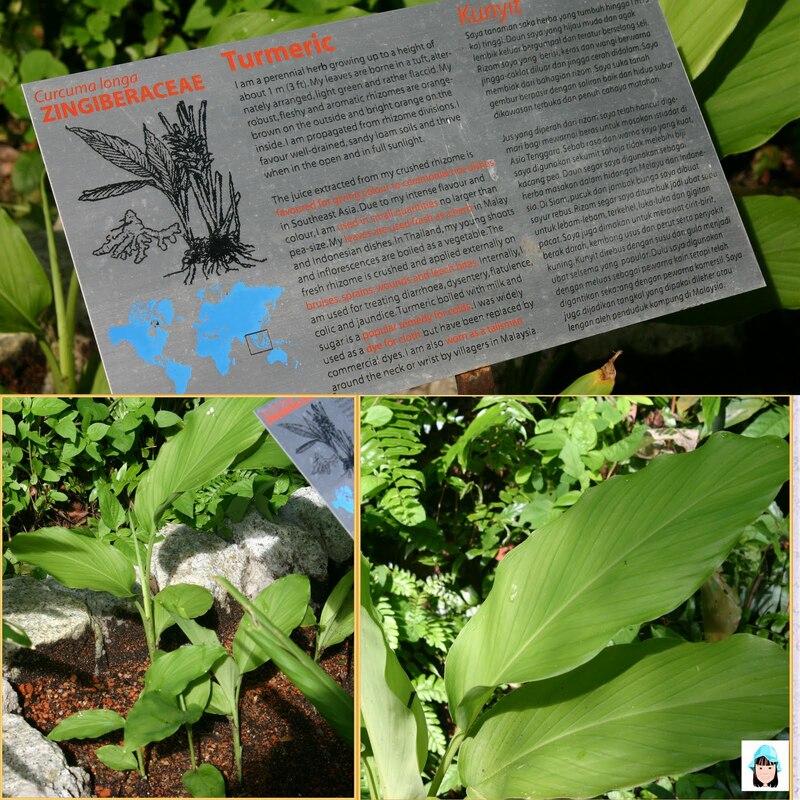 Above were the plant of turmeric looks like. It has many medical usage. 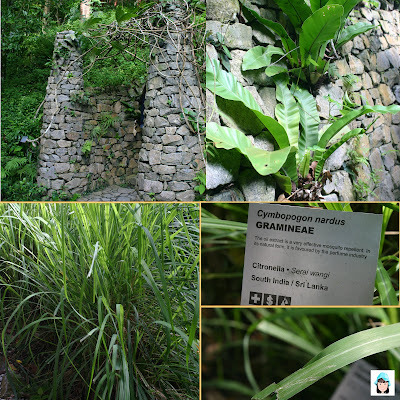 Such as the juice extracted from crushed rhizome can be applied externally for bruises, sprains, wounds and leech bites. Internally, it can used for treating diarrhoea, colic and jaundice. Turmeric with milk and sugar boiled is a popular remedy for treating colds. 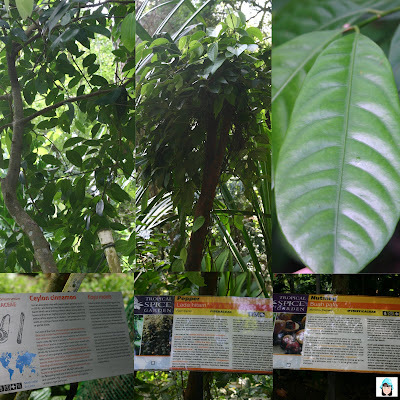 Clove tree is an evergreen pyramid shaped which grows to the height up to 15M. The leaves when crushed give the aromatic clove smell. 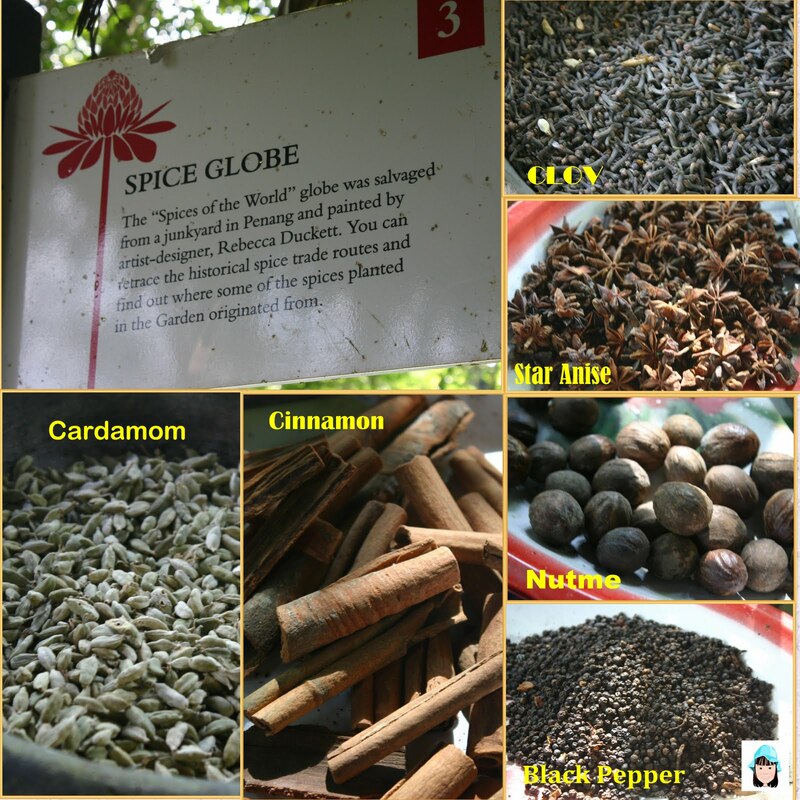 It used to be earliest and most valuable spices to be traded by Egyptians, Romans and Chinese. Clove was used as traditional medication against infections, cholera, tuberculosis and as an anaesthetics. If you want to buy original Ceylon cinnamon, you can drop by TSG to get one. As the originated Ceylon Cinnamon has different aroma from the normal one that we bought from shopping centre or grocery shops. Cinnamon stick has many benefits such as it helps to improves digestion, relieves spasms, lower fever and blood pressure, and controls bleeding and infections. However, it was not recommended for pregnant woman. Nutmeg gives flavour to baked foods, desserts, drinks, meat dishes, vegetable dishes and cheese dishes. The nutmeg oil use to treat rheumatism and other digestive problems. Nutmeg fruit was used medicinally to relieve air in the bowels. 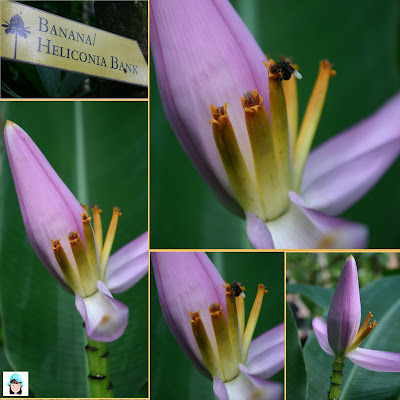 Resurrection Lily can be commonly found in many gardens. But do you what is the usage? It's rhizome was actually used in curries at Thailand and it's young leaves were eaten raw with spicy shrimp paste sauce. Medically, it can used for improve indigestion, anti-bacterial and diuretic effects. Last admission at 5.30 pm. Guided Tours available from 9am-5pm daily. Make a booking to avoid disappointment. I am pleased to get an invitation to attend the official launching of Tropical Spice Garden Cooking School on 6th May 2011 (Friday). 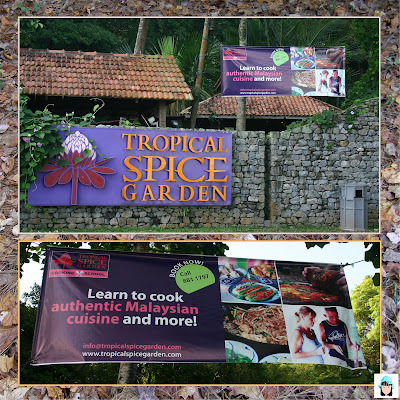 The venue of this official launching was taken place at The Pavilion and Cooking School of Tropical Spice Garden. Our YB Danny Law Heng Kiang, Penang state exco for tourist development and culture and Chef Wan, Food Ambassador of Malaysia were the guests of honor for the launching of Tropical Spice Garden Cooking Class. 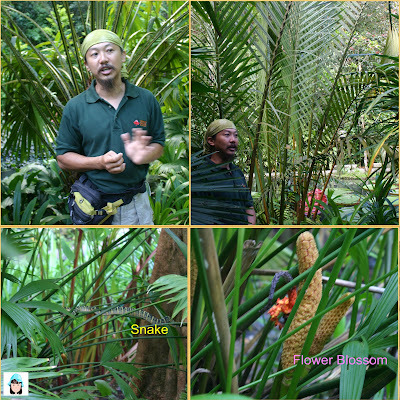 Before the launching begin, a group of us were guided by an experience guide, Joseph to the garden. We learned lot of knowledge from this tour. We get to touch and smell all different kind of herbs around the garden which I will elaborate more in my next posts. and waiting for the arrival of the VIPs. While waiting, we had an opportunity to listen to the performance of ENSEMBLE KOSCHKA. 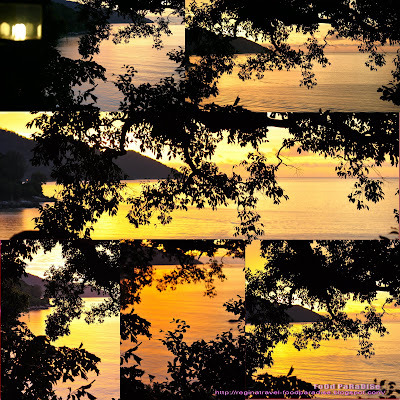 It was a chamber music ensembles established in 2008 by Jascha Yasufumi Shimano. The ensemble has been actively performing western classical music and aims to foster young talents and assists professional musicians in their music career. We also take this opportunity to have a look of the TSC Cooking school. 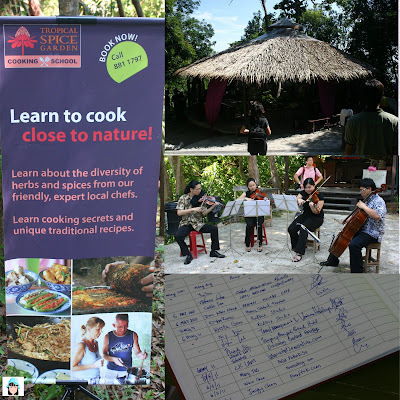 It was the first specially designed and hands on cooking classes in Penang. It also equipped with air conditioned. Classes can accommodate 10 persons and each individual has their own purpose-built workstation. 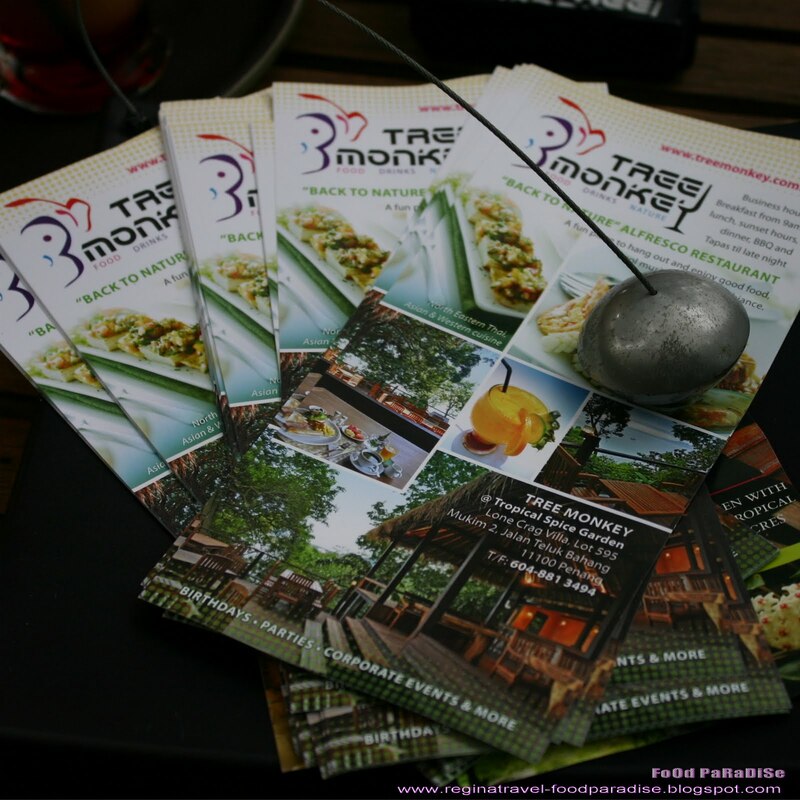 TSG Cooking School guarantee hands on experience for all guests. 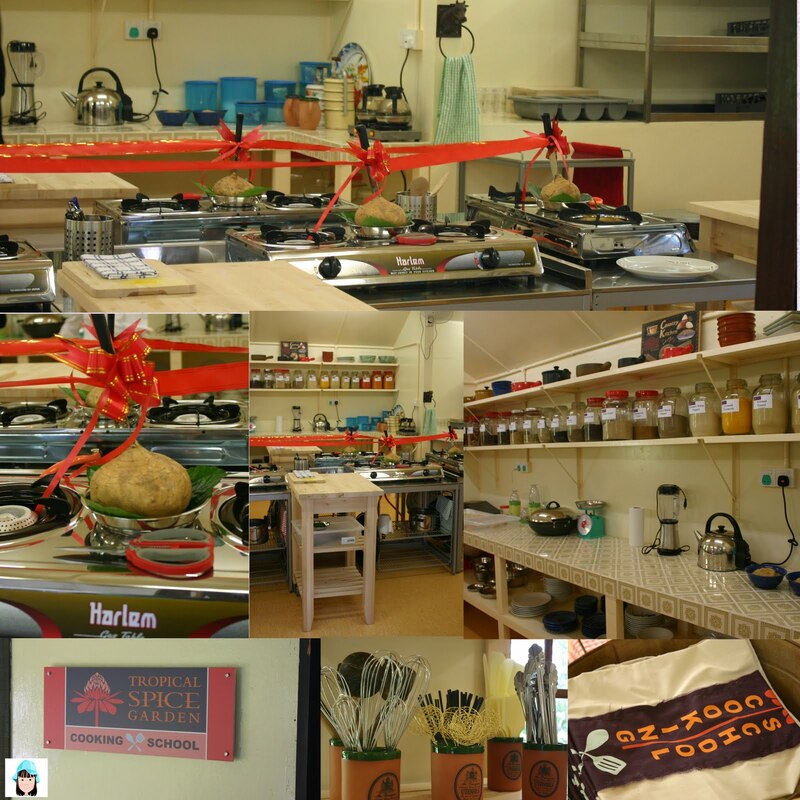 Students will prepare their meals from scratch. They will need to cut all the ingredients by themselves at their own workstations. 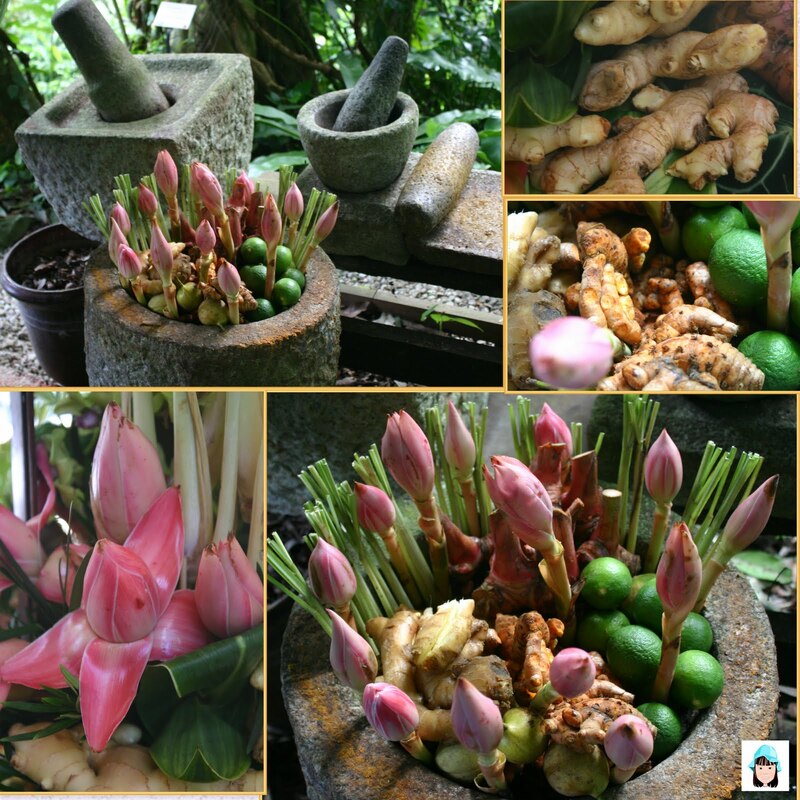 Students can also enjoy harvesting fresh spices and herbs from TSG garden. The benefits of joining this cooking class will include welcome coffee/tea, Cooking School apron to take home, recipe card for the day and guided tour of the spice terraces. There are three Resident Chefs in TSG Cooking School. 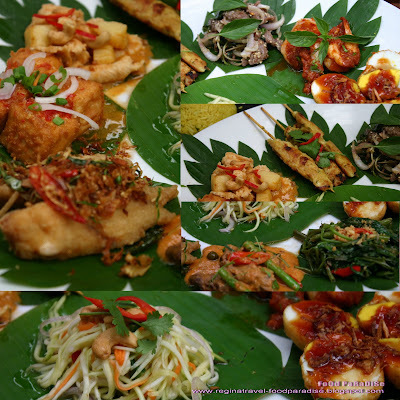 They were Pearly Kee which specialised in Nonya & Indian Cuisine. 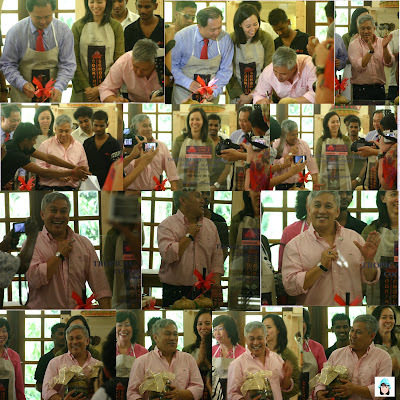 She learned her cooking under the strict guidance of her mentor the renowned Dato Lim Bian Yam. 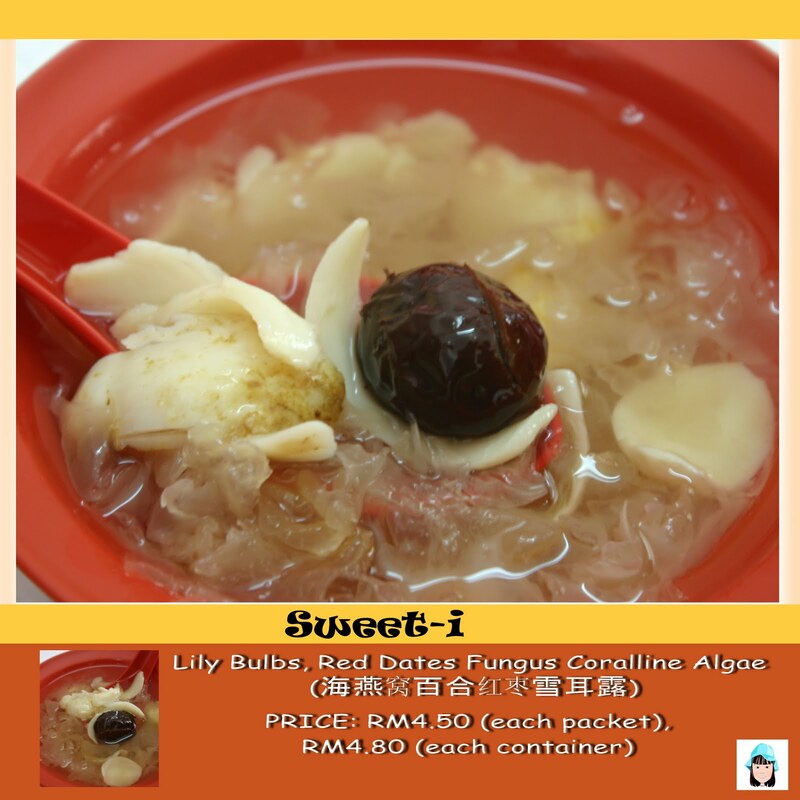 As for Lily Tan, she was specializes in Chinese Home Cooking and Penang hawker favourites. She taught cooking since 1995 from her home. 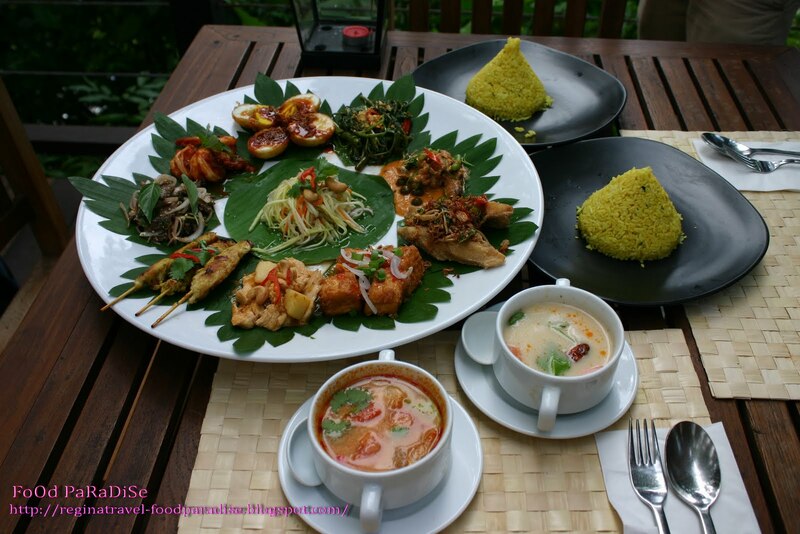 And her biggest inspirations come from preparing good and healthy foods for her families. Then we had Azizah Othman which specializes in Malay cuisines. She credits her mother in law for teaching her traditional cooking methods and the correct ways to peel vegetables and prepare meat for specific dishes. 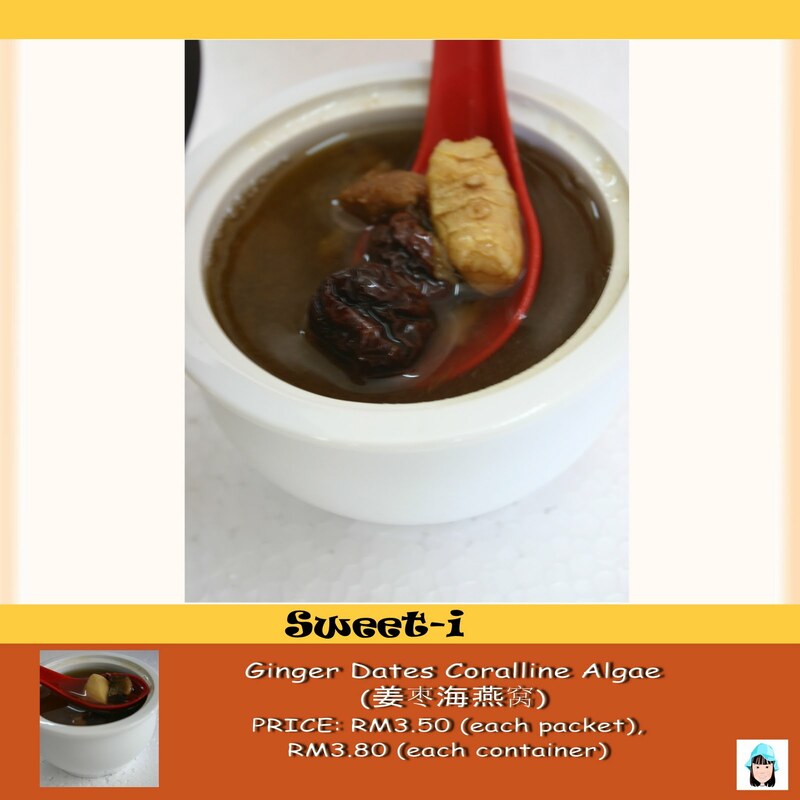 Apart from Resident Chefs, they also have guest chefs from CHOC Artisan, ECCO cafe, Soul Kitchen, Permail Village Cafe, Lighthouse Coffee, Turkish Homecook and SiTigun. Speeches from the Managing Director - Katharine J. Chua, YB Danny Law Heng Kiang, Penang state exco for tourist development and culture and Chef Wan, Food Ambassador of Malaysia. The Managing Director - Katharine J. Chua, YB Danny Law Heng Kiang, Penang state exco for tourist development and culture, Chef Wan, Food Ambassador of Malaysia and all the guest chef and resident chef having the official launching by cutting the red ribbons around the workstation. 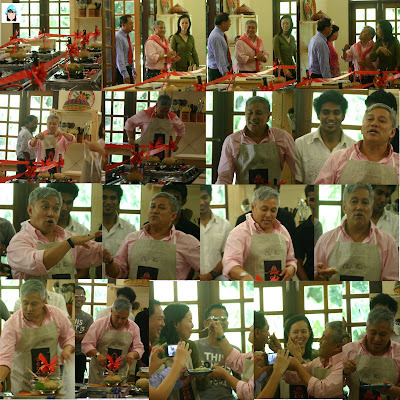 And each of them have to cut the herbs provided in their workstation for Chef Wan to make "Nasi Ulam". 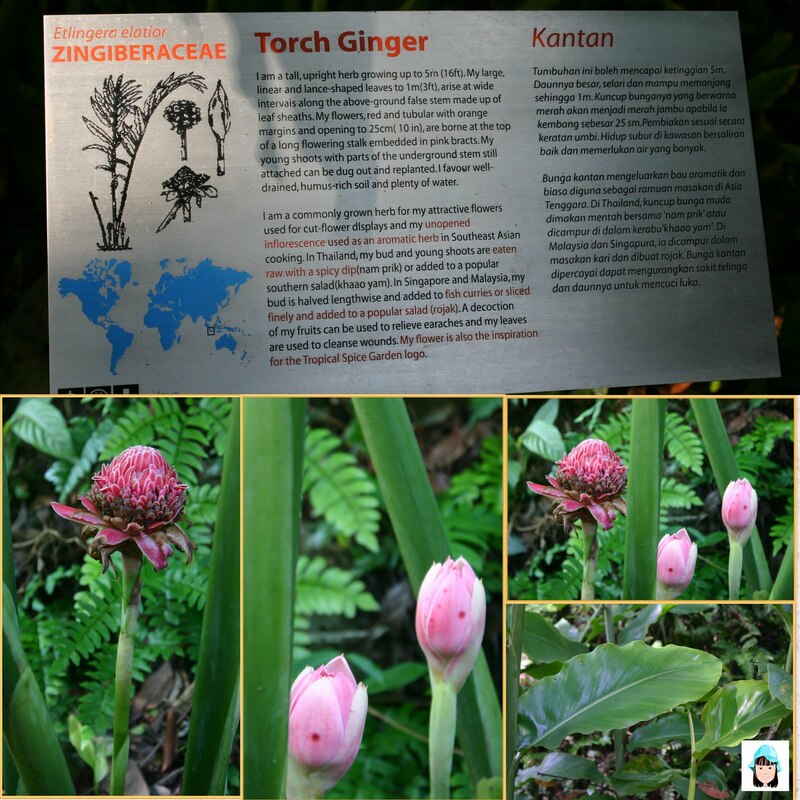 Stay tuned for the Tropical Spice Garden post! My little gal was having exam this week and she asked me just now, "Mum, today is Mother's Day, so I suppose not to do any revision for my exam." Hahhahaa.... she is just using this excuse to skip her revision. How cheeky of her, right? We love mangoes very much. 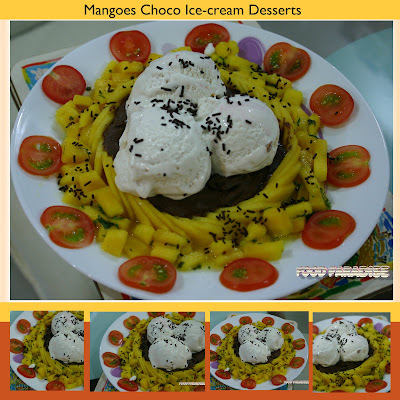 And since during Christmas there were lots of mangoes in the market, hubby decided to get some and prepared us some desserts using mangoes and also on fruits salad as well. Apart from mangoes, we also had the tomatoes (red and yellow) - which my gal loves it very much, oranges and lettuce from Jusco. 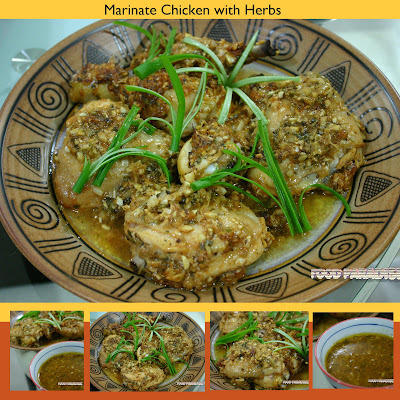 Apart from spare ribs, hubby also baked marinate chicken with herbs just in case my gal wants something else. 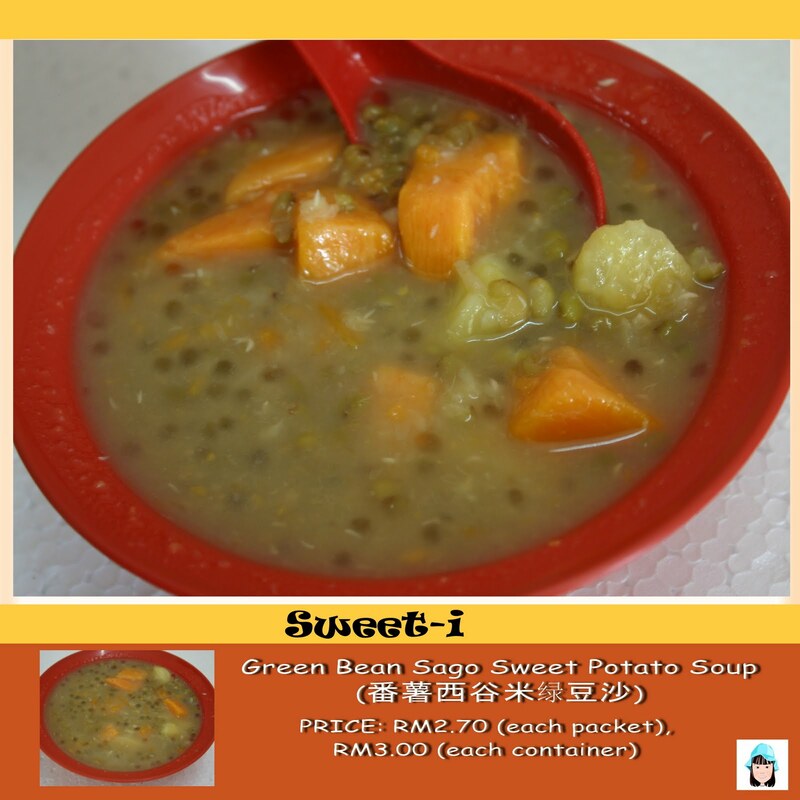 Sweet-i (The Sweet Temptation Sweet House) @ Jalan Sg. Dua, Gelugor, Penang. The weather in Penang is hard to predict. It's raining heavily today and next day it's a hot day which make you sweat. This kind of weather make lots of people fall sick. 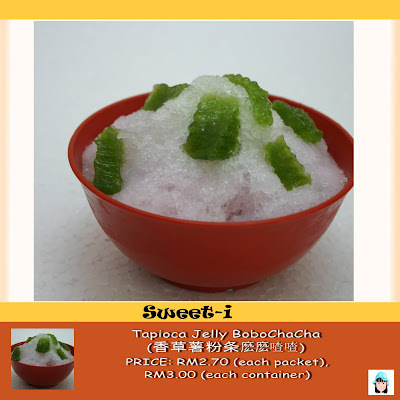 Whenever it's hot weather, I always feel like having some desserts. When I have time, I usually cook some Chinese desserts or herbal tea for my family. However, for the past few months I have been really busy and I found a place that I could have different kinds of desserts whenever I feel to have some. I went to this place with my family and try out some of the desserts. And few weeks ago, I revisited with a bunch of friends again to try out the different varieties of desserts offer by Sweet-i. 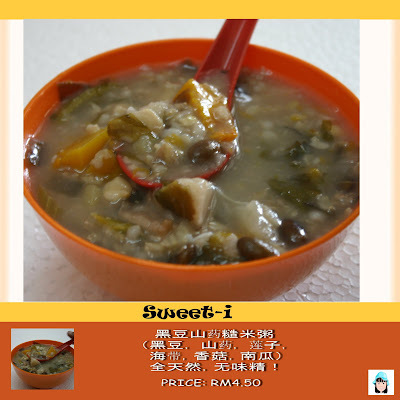 I always cook winter melon soup but never try to cook it in desserts basis. And it is something different for me. 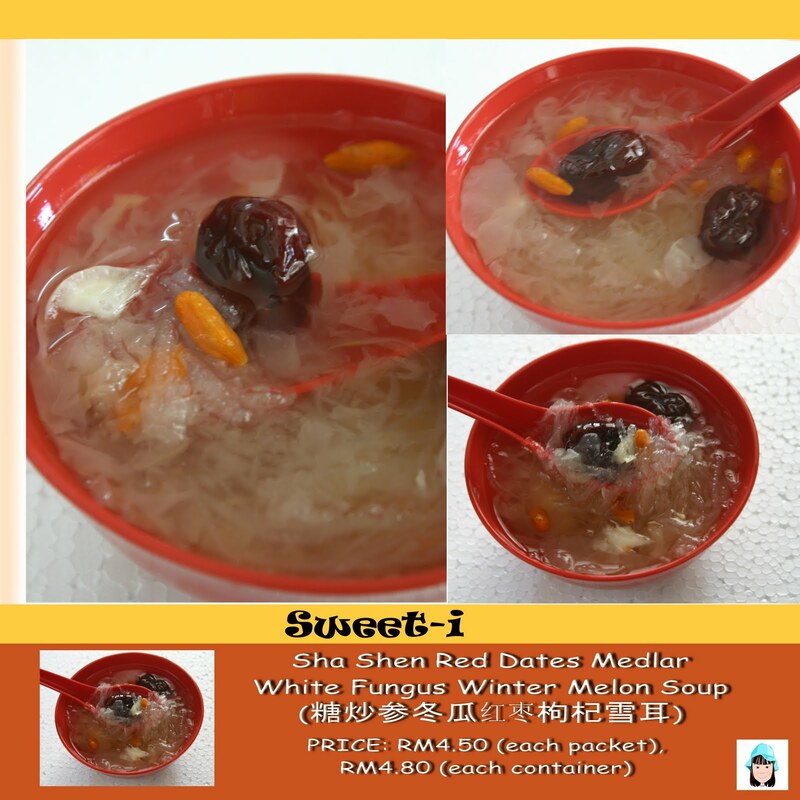 This Sha Shen Red Dates Medlar White Fungus Winter Melon Soup main ingredients were the white fungus, red dates, winter melon and medlar. I have tried this before in my previous visit with my family. I usually will order this while I am outside having desserts. The reasons being that my hubby and gal do not like mung beans. 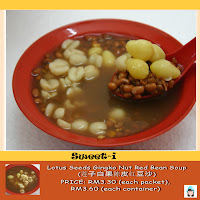 My hubby family mostly take red beans instead of mung beans. However, it's totally different story for my family. I always remember that my mum will always cooked us mung beans whenever we feel heaty inside our body. When this appear on the table. 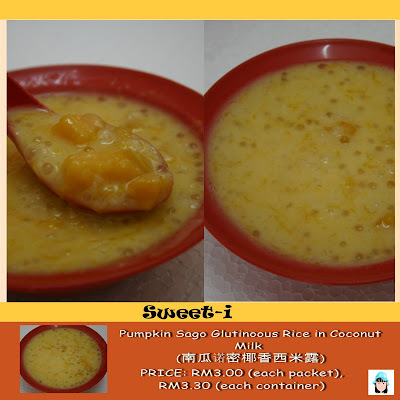 Some of us hope that it would be mango sago. As few of us are mango fans. ^-^ However, this was pumpkin sago glutinous rice in coconut milk. It was quite nice. Providing that you love pumpkin. It does not taste too sweet. 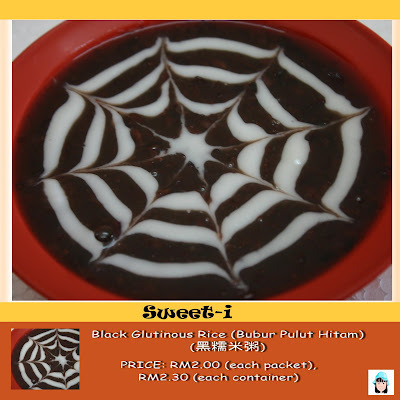 When this being served, my confinement memory all flash back. It has the aroma of what I used to consume during my confinement period. My MIL will always cooked the black dates tea for me to drink. I don't really enjoy too strong ginger kind of person. If you love ginger very much, please do try this out. However, it is kinda heaty. This is another kind of desserts I would order as it's not easy to get all the ingredients together. Many works should be done in order to have all the ingredients together. Ingredients for this bowl of desserts include lily bulbs, red dates, white fungus and Coralline Algae. For those who cannot read Chinese. There are 2 different kinds of tea we tested in our review. The first one is the herbal tea with mulberry leaves and chrysanthemum. This tea is to help you to get rid of the heats from your body. When you feel heaty, you can buy some to drink. The second one is for people that who can't sleep well and work very late at night to consume. It consists of dates, chrysanthemum and dried longan. Both of the teas are great to consume. Any black glutinous rice fans out there? Well, my MIL will definitely love this. As it has rich aroma of black glutinous rice. 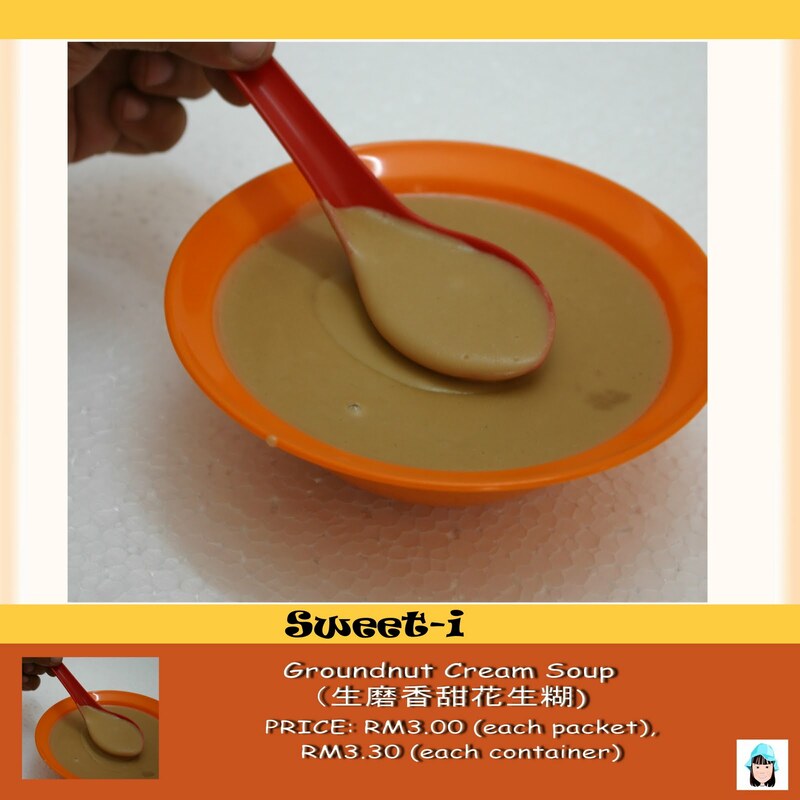 Groundnut cream soup is very rich and has a nice aroma of groundnut. It's improved from my last visit. As I believed that in my last visit, it has some burnt smell which lead to my gal reluctant to consume it further. But during this review, it tastes nice and creamy. 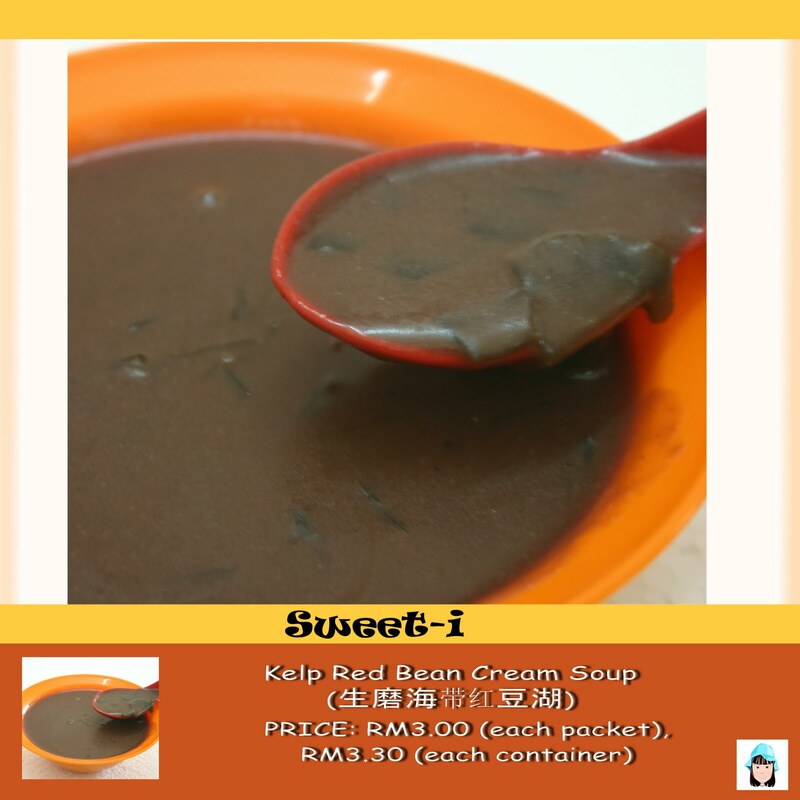 I like the red bean cream soup. This is something special. It is added with kelp. I never had kelp inside the red bean cream soup before. Usually will had it inside the soup. ^-^ Something new and special for me. 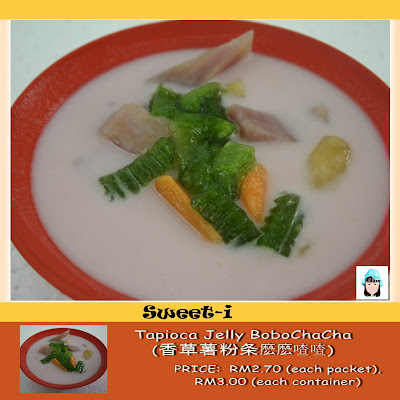 We were told that the green jelly was the popular item in the bobo cha cha here. Many people come here for this. And there are others color too. This is the hot version. And below were the ice version. 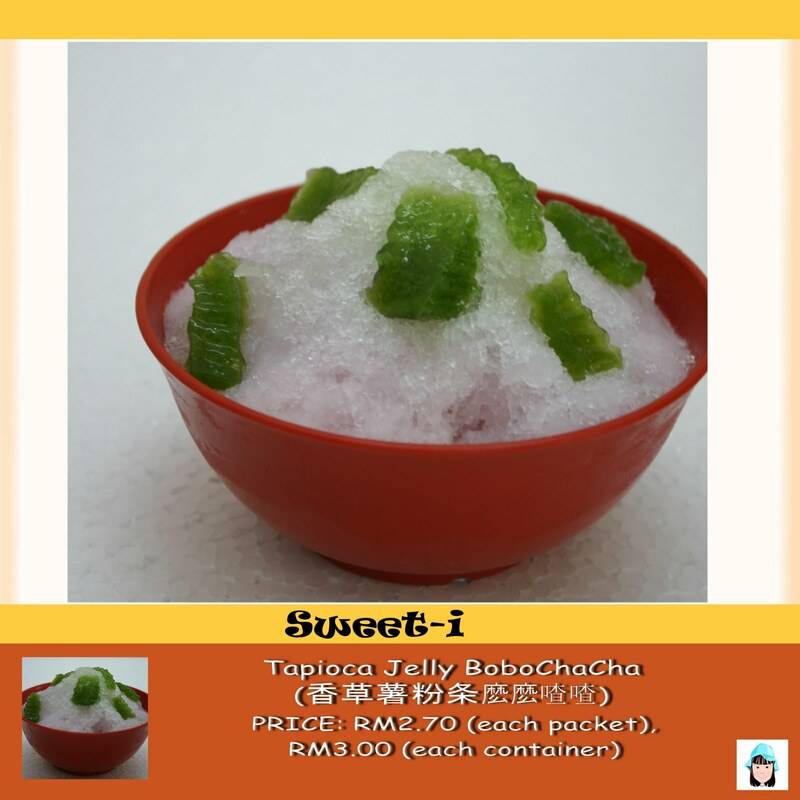 Location: 727-F Jalan Sg. Dua, 11700, Gelugor, Penang.